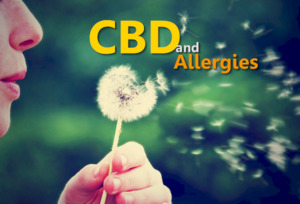 CBD, Women, and Histamines - Nothing to Sneeze At! CARMEL, CA, February 11, 2019 /24-7PressRelease/ -- CBD is all the rage. Everywhere! There's pretty impressive research on everything from anti-inflammation to gut and immune response. What isn't being discussed are the effects on allergy and histamine pathways! Everyone and their mother is pushing "full spectrum" CBD. They're selling the much ballyhooed "Entourage Effect". It's basically the dogma that the sum of the hemp plant parts are greater than the whole. All that plant material in "Full Spectrum" CBD is not going to feel good for people with allergy/histamine issues. There's a powerful connection between decreasing hormones and histamine response.